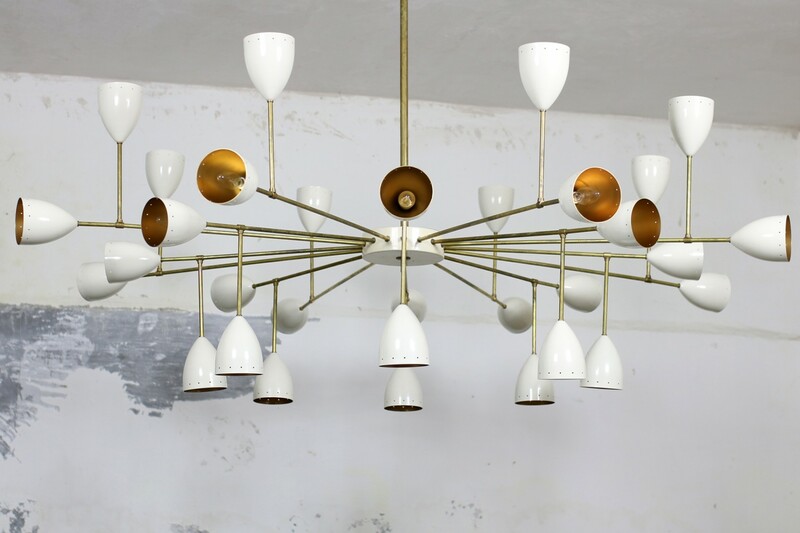 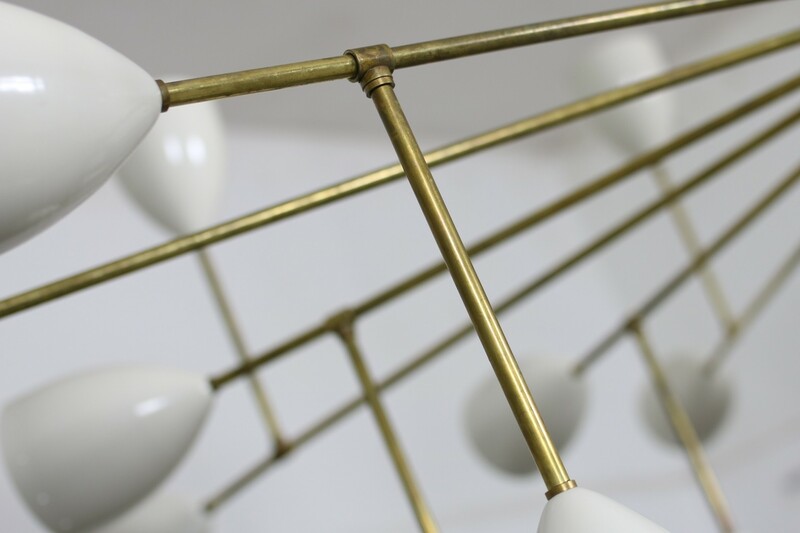 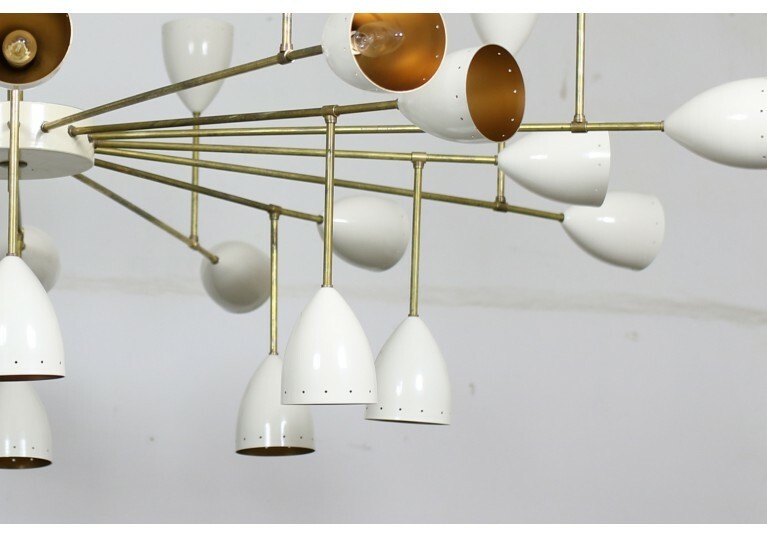 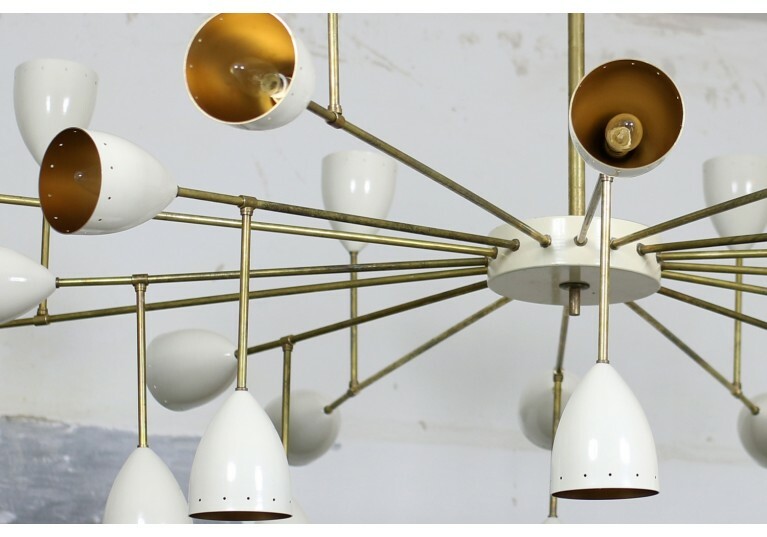 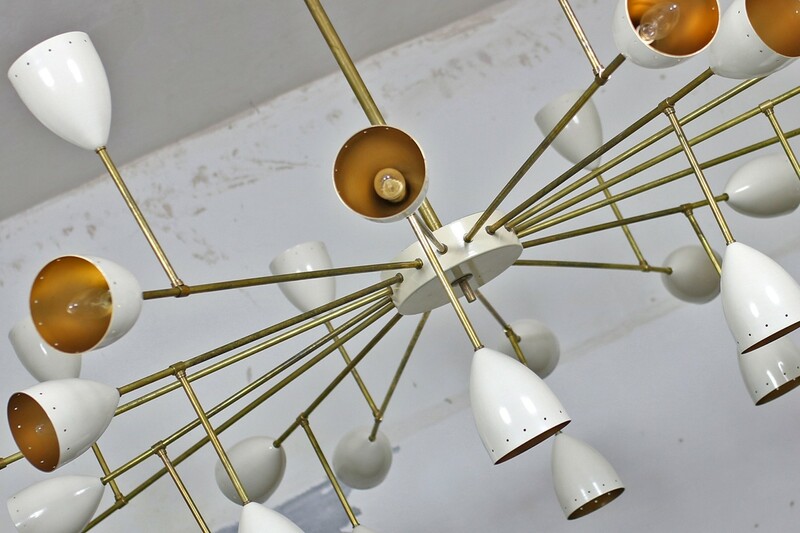 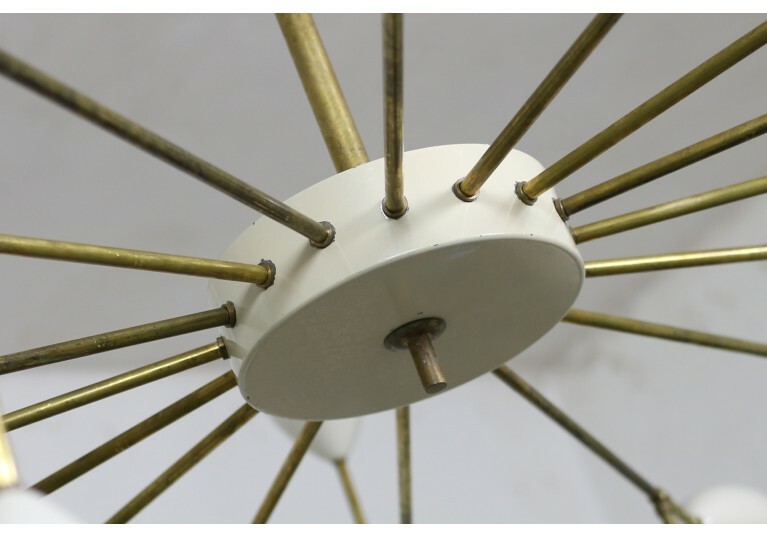 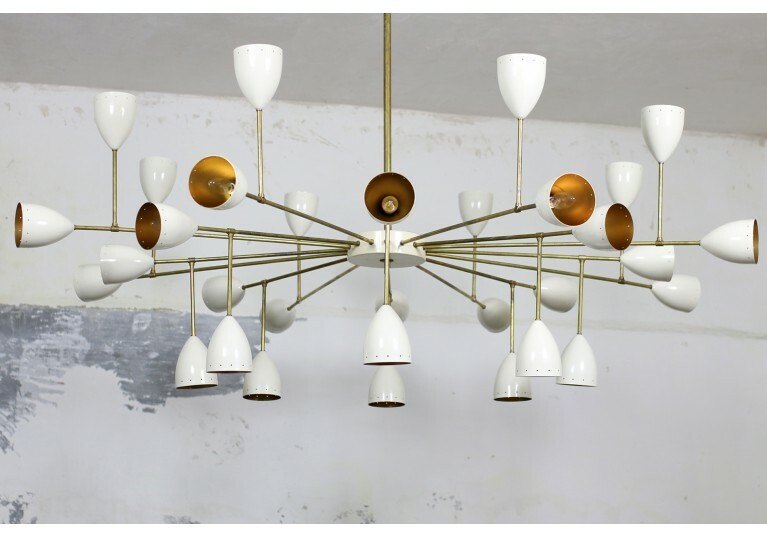 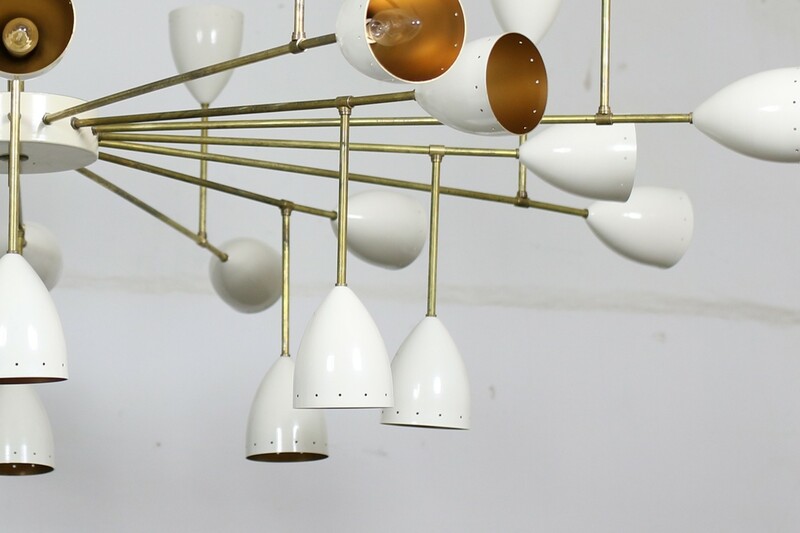 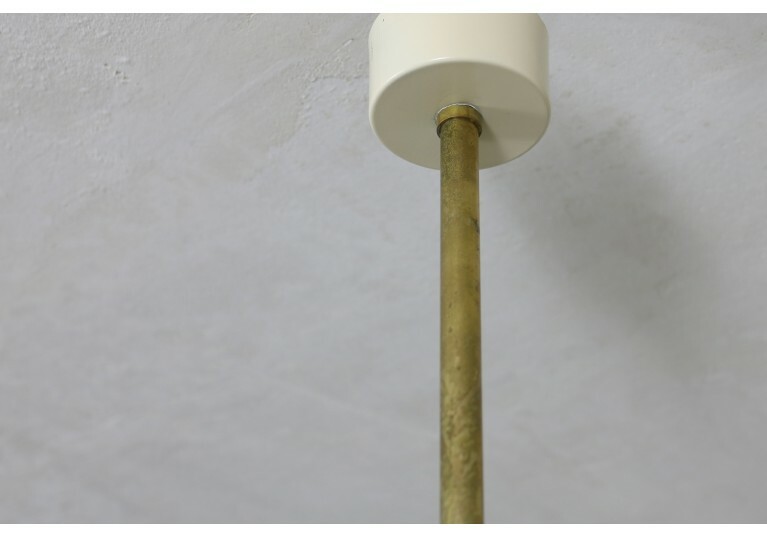 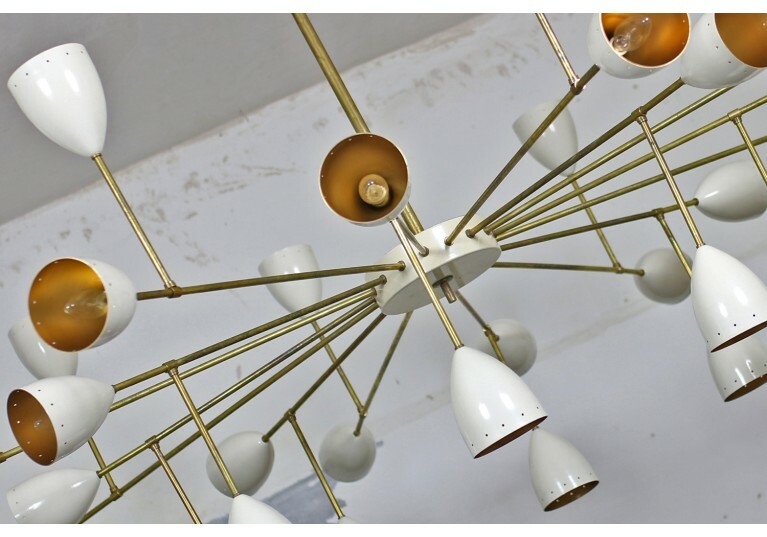 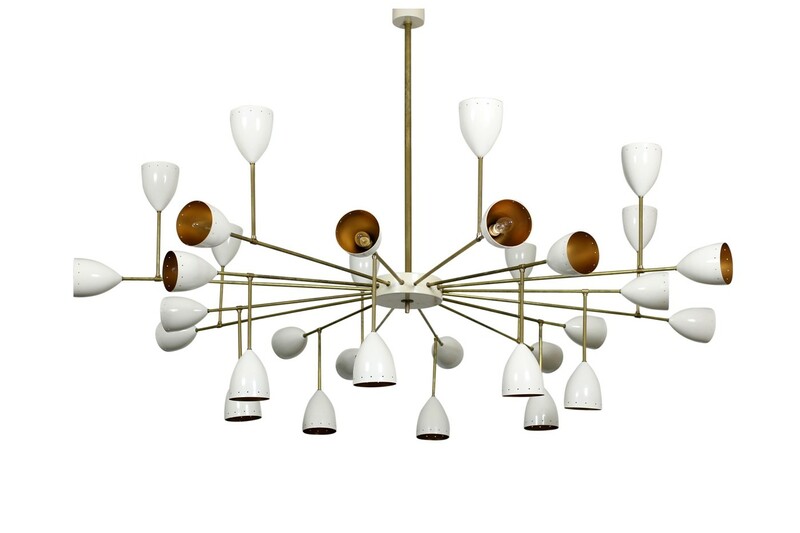 Super large, monumental Italian chandelier made of metal and brass with great patina, ecru colored lampshades outside and glittering gold inside, 6ft. 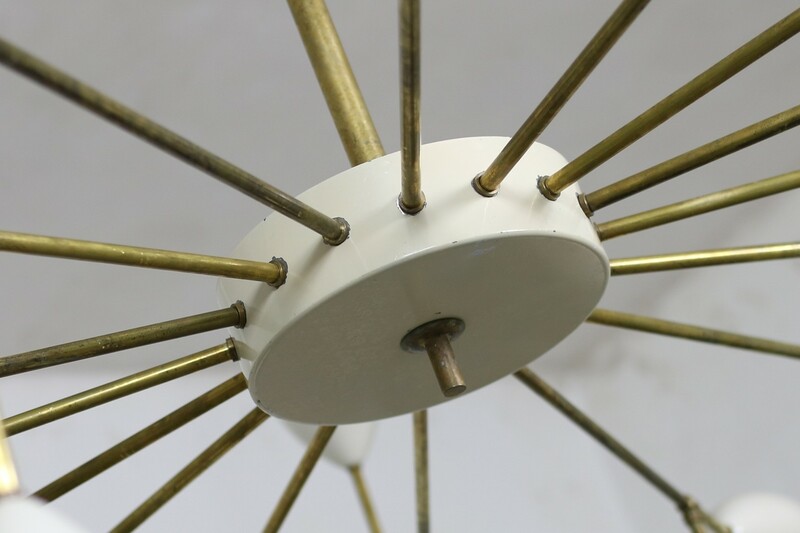 of diameter and 4,3ft. high, overall 32 lights for small Edison bulbs. 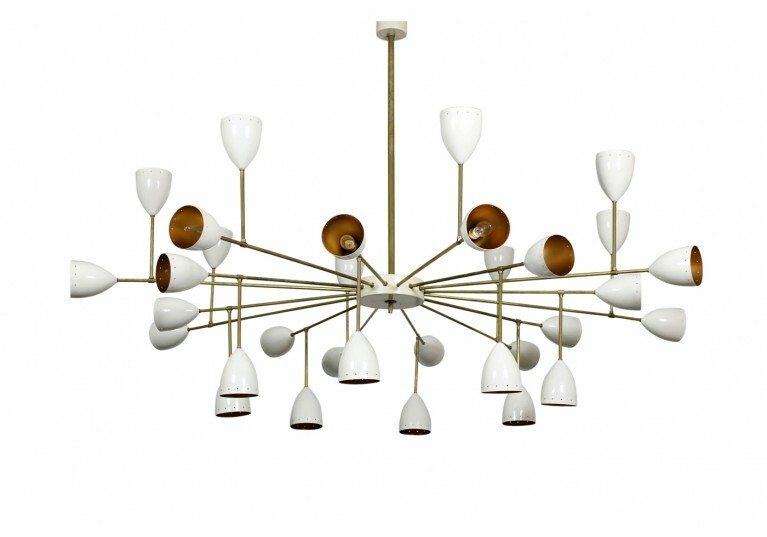 This stunning supernova chandelier looks amazing and beautiful. Newly rewired, ready to use in Europe, US and Asia.